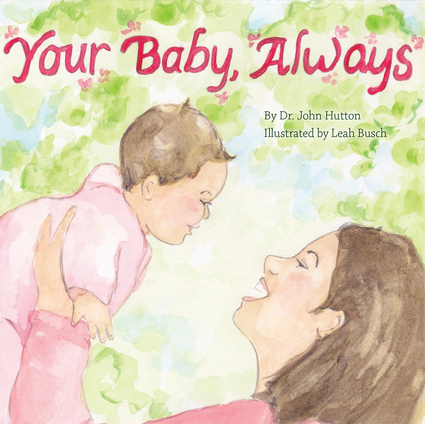 A touching board book that shows the importance of building strong bonds between child and parent From the bestselling Love Baby Healthy series by pediatrician Dr. John Hutton and illustrator Leah Busch, this simple, rhyming book captures the joy and importance of this special time together. Key developmental milestones are shown in a dreamy, joyous way, highlighting this critical stage of development when children need loving, engaged grownups the most, reinforcing recommendations and encouraging parent-child bonding through reading and play. Dr. John Hutton is a pediatrician, an author, and the owner of the award-winning blue manatee children's bookstore in Cincinnati, Ohio. He is the author of Calm Baby, Gently; Eat Baby, Healthy; Sherm the Germ; Sleep Baby, Safe and Snug; Sleepy Bee; Tito's Inferno; Your Red Shoes; and the award-winning Baby Unplugged series and the founder of the blog Baby Unplugged, whose mission is to help keep children screen-free until age three and promote healthy, developmentally stimulating alternatives. Leah Busch is an artist and cocreator of the award-winning Toast to Baby series. She is also the illustrator of Calm Baby, Gently; Eat Baby, Healthy; the bestselling Sleep Baby, Safe and Snug; and Your Red Shoes. They both live in Cincinnati, Ohio.